Return once more to the deadly and dazzling world of Red Queen in Broken Throne, a beautifully designed, must-have companion to the chart-topping series from #1 New York Times bestselling author Victoria Aveyard. 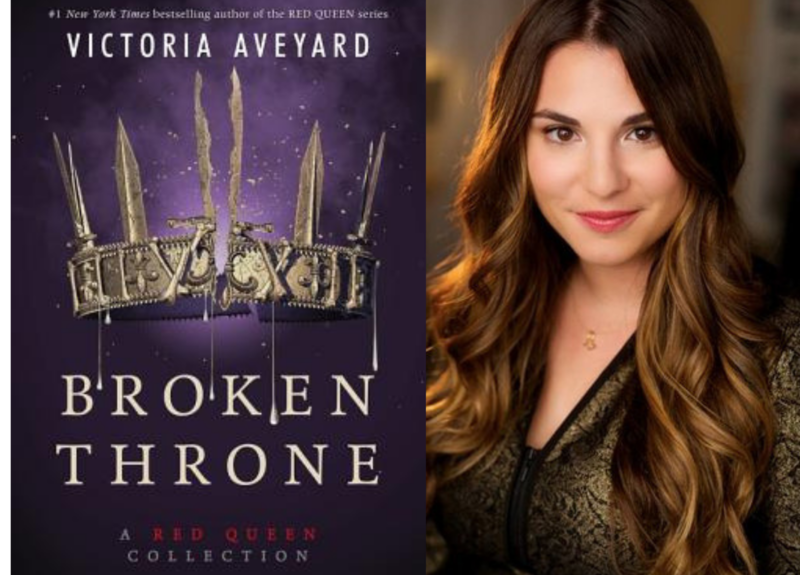 We're thrilled to be able to invite you to a launch party and signing event with Victoria Aveyard on May 8th, 2019! Festivities will begin at 6:30 pm. Take a photo in the photo booth, enjoy book-related treats, and visit the crown making station! Victoria will begin signing at 7:30 pm and will sign any and all other titles you would like to bring with you in addition to Broken Throne. In order to attend, you must purchase the "Book & Ticket" option (available below). Tickets include a hardcover copy of Broken Throne as well as access to the May 8th event. If you are not able to attend but would like to order a signed copy, please order the *signed* version below (rather than a ticket). Books will be shipped out on May 9th and will be available for in-store pickup May 9th as well. Tickets are available on a first come first served basis, but we will be accepting all signed book orders up until the event date. Questions? Email web@odysseybks.com or call 413-534-7307 and ask for Kinsey.